Let’s face it, most of locals are not that adventurous in terms of trying with new places and most of people I know don’t know what I’m going to tell you, they don’t know that one of the oldest districts of the city is being taken in a complete different direction, from a dangerous zone to literally get a big bunch of neighbors (tired of violence and crime ) standing to rescue their patrimony, but as well to protect their children and give them the chance of a better future, free of drugs. 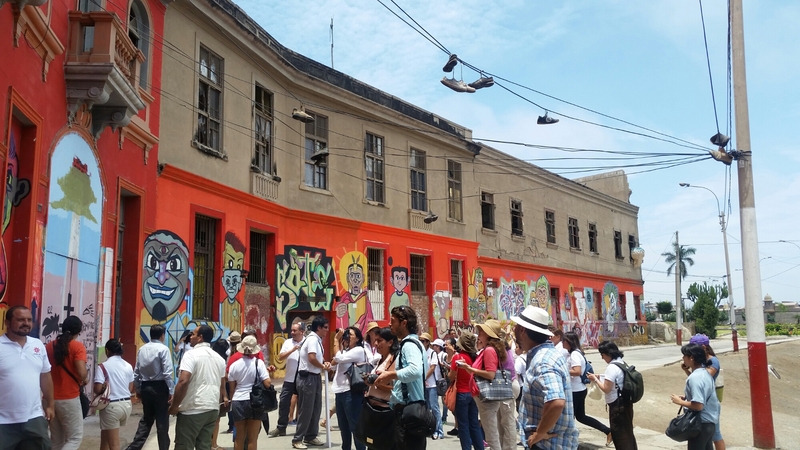 Thanks to their perseveration this place is now becoming into the new corner for art lovers and bohemians….welcome to Callao Monumental , the main port of the country opens its doors to the world and fights to gain a place between the top attractions of Lima. 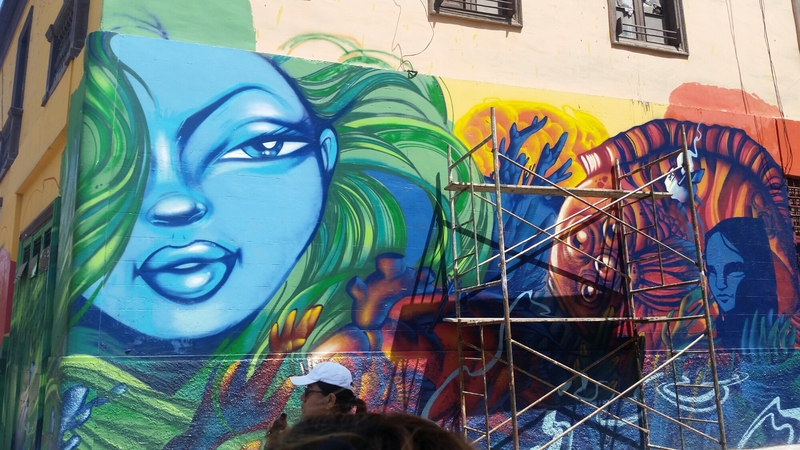 Coffee shops, japanese food, veggie pizza, combined with art galleries and murals painted by Peruvian alternative-street art, you can as well (if you are lucky enough) meet the artists on duty and maybe exchange some words with them. 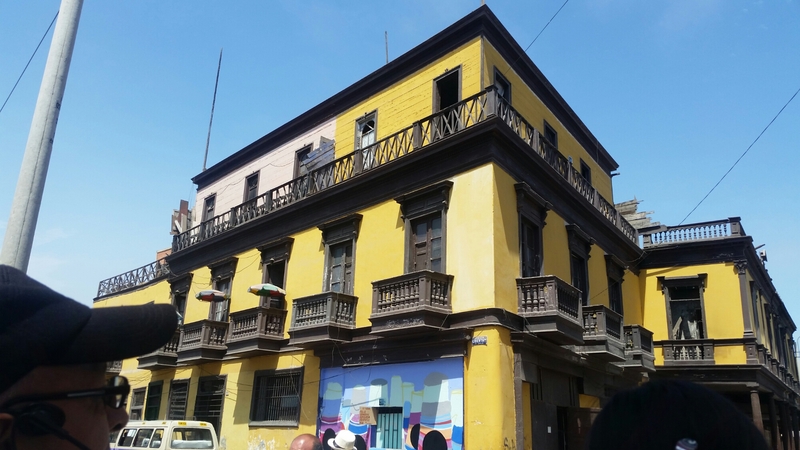 Now Callao is transforming, turning into the best version of itself. ..a place that lays inbetween its glorious golden years’ past with houses decorated in the classic styles of the 19th and early 20th century; and its promising future… come and be witness of this transformation. The hanging shoes from cables have a strong conntation, meaning that the zone is dangerous and drug dealers live there, is a recordatory of past times that we hope never come back. 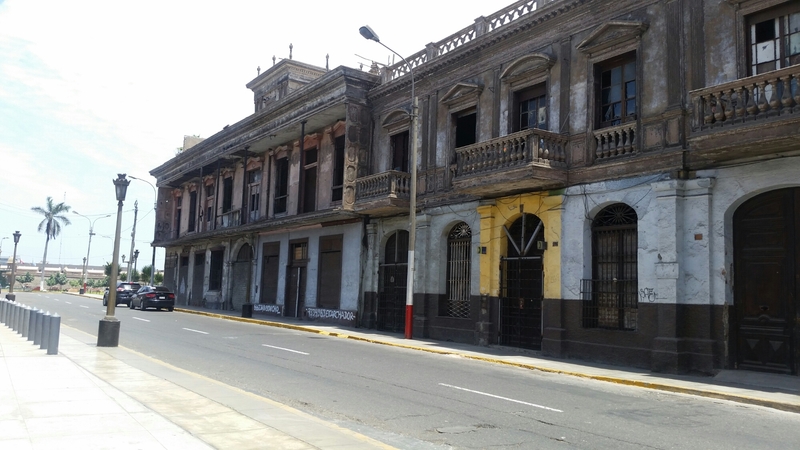 Don’t forget to put it on your bucket list of Lima! Next Post Missing the cold days of winter.